Driving Northwest at night on highway 535 heading into Duluth in the middle of January is beautiful. Icy roads, poor visibility, and not knowing if I was headed in the correct direction was a bit scary. The lights on the cliffs overlooking Lake Superior are mesmerizing, like blinking eyes from a million owls looking out from a dark hole in many large trees. I decide not to worry about the direction; I just want to get close to those lights. Finding the hotel through the dense fog was challenging. 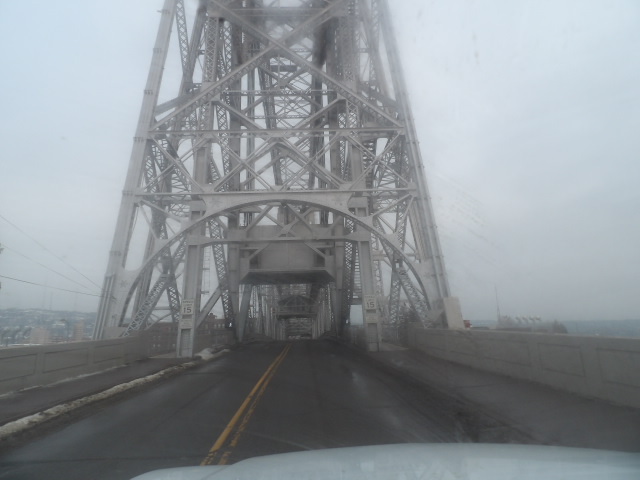 I slowly creep over the Aerial Lift Bridge that takes me onto Minnesota Avenue. Lucky for me, the fog makes it impossible to look down. The narrow road jets several miles across Lake Superior. When Lake Superior is not bound by ice, the massive freighters pass through the channel. A fog horn blasts, giving me a quick merciless jolt, waking me up to possible danger. Checking into the hotel, a desk clerk hands me the schedule of passing ships so that guests can walk onto their private balconies to watch freighters come and go. Charter boats are hailed just 50 feet from the hotel door. What an amazing town. Exploring out of the way destinations make business travel worth it, especially a visit to one of my favorite vendors, Max Taubert. Taubert owns Duluth Timber Company. He has worked with Sweet Mountain Farm since 2012 and helps us think outside the box to make production and price work. He invests in making our hive building operation successful. A grand tour of his mill is impressive, especially the woodworkers shop. On today’s tour a 17 foot bench is readied for delivery to the new OMC, (Oink, Moo, Cluck), Smokehouse. The wood reclaimed in 1985 from the historical Arrowhead Bridge in Duluth. Taubert travels throughout the United States reclaiming old growth timbers wasted by careless demolition. From buildings, warehouses, factories, trestles, tank stock, and bridges he carefully transports and restores aged timber. The reclaimed wood is often more than 100 years old. Duluth Timber unites old and new by preserving remnants of history while also helping architects; woodworkers, and artists create a new story for treasured wood pieces. His company is a major wholesaler and retailer of reclaimed and repurposed wood for over 30 years. This is why I am proud to source cedar for Sweet Mountain Farm’s beehives from Duluth Timber. The cedar used for our hives is not reclaimed wood but there is much more to Duluth Timber than reclamation. It is the sustainable philosophy along with recycling and reclaiming that calls me to join forces. Taubert has invested much thought into advancing production of Sweet Mountain Farm’s uniquely designed beehive. Rick Fearnall and John Simonson were enlisted to replicate the hive prototype and make recommendations to speed production. One barrier was creating a jig for the dovetail joints that would accept 1” stock. Another barrier was reproducing a consistent joint when one surface is left rough sawn. Rough sawn surfaces have slightly variable widths and splinter. Producing uniformity let alone increase production speed is difficult. Let’s just say that Rick Fearnall rose above the task, built a custom jig, and nailed it. To understand more fully why Sweet Mountain Farm cedar beehives are special, please visit our link Build Our Beehive. Sweet Mountain Farm sources its cedar from the best the industry offers. 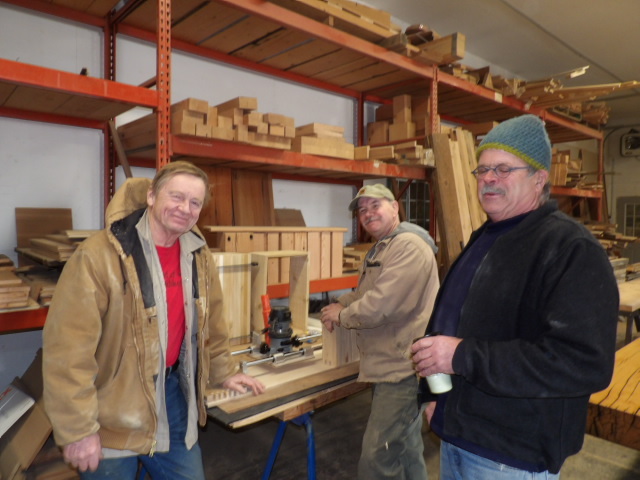 Visit Duluth Timber Company at www.duluthtimber.com, its website alone is a great experience generating many creative ideas.